North America has been a haven for those seeking freedom and safety from oppressive governments from its inception. 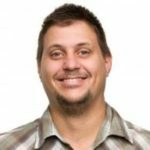 Canada and the United States admit a large number of refugees (from most countries) and provide a stable community for refugees to live a safe and happy life. It’s no surprise that many people who are given the opportunity to come to North America as refugees have achieved remarkable greatness. Mikhail Baryshnikov was born January 27, 1948 in Latvia, part of the former Soviet Union. He took up ballet at the age of 12. Winning a top ballet prize only a few years after starting ballet, he joined the Kirov Ballet and danced the “Peasant” pas de deux in Giselle. After this performance many Soviet choreographers wrote ballets for Baryshnikov, and he toured the world doing performances. While touring Canada, he defected from the Soviet Union and was granted political asylum. Working in both Canada and the United States, Baryshnikov has earned many awards and has done a great deal to popularize modern dance. 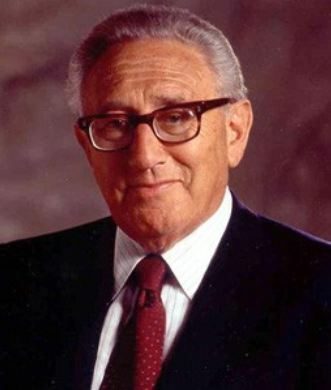 Born Heinz Alfred Kissinger on May 27th, 1923 in Fürth, Bavaria, Germany Mr. Kissinger went on to become a prominent figure in American politics. After fleeing Nazi germany and moving to England, he landed in New York in 1938. In his career, Kissinger has served in the US army, attended Harvard University, worked in the government as the National Security Advisor and Head of State for President Nixon. Perhaps educated by the horrors of war during WWII, Kissinger was a key figure in negotiating the US withdrawal from Vietnam, for which he was awarded the Nobel Peace Prize. Though born in Havana, Cuba in 1957, Gloria Estefan later moved to the United States and launched an extremely successful music career — in fact, she is the most successful American pop star with Latin roots. Gloria Estefan’s father was a soldier and bodyguard for Cuban dictator Fulgencio Batista. Their family fleed Cuba during the Cuban revolution and settled in Miami, Florida. During this time Estefan attained a B.A. from the university of Miami. Since 1977, Estefan has continually released chart-topping hits, won three Grammy awards, and solidified her popularity in many different genres. Drawing on her latin roots, she has become hugely successful and has certainly earned the title: “The Queen Of Latin Pop”. 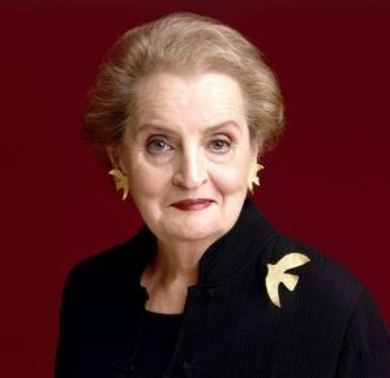 Although Madeleine Albright has had a successful political and academic career, her early life was not nearly as happy. As the daughter of a Czech jewish diplomat, her family had to flee to London to avoid German persecution during World War II. After moving to New York and completing an extensive education in international relations, she became engaged in U.S. politics, and later became the U.N. Ambassador for the United States. Since she was not born in the U.S., Albright could not become President of the United States, however, she did become the first female Secretary of State. Adrienne Clarkson is another successful female politician who overcame a dangerous and difficult childhood. During the Japanese invasion of China in 1941, Clarkson remembers hiding in other people’s basements to avoid being found. She emigrated to Canada, with considerable difficulty, in 1942. After graduating from Trinity College, University of Toronto, she became a successful journalist and appeared in many magazines, radio, and television shows. In 1999, she became the first visible minority to be named the Governor General of Canada, and arguably became the most celebrated (yet controversial) Governor General in Canadian History. Recently, Adrienne Clarkson has covered issues surrounding immigration and refugee status in Canada (see this interview on TVO).